CRANBURY, N.J.–(BUSINESS WIRE)–CURE Media Group’s flagship product, CURE® magazine, which reaches over a million patients, survivors and caregivers and is dedicated to providing cancer updates, announced Shannon Miller, Olympic gymnast and ovarian cancer survivor, as the keynote speaker for the second annual Ovarian Cancer Heroes® event. This year’s gala will take place Friday, March 15 at the Hawaii Convention Center in Honolulu, Hawaii, during the Society of Gynecologic Oncology Annual Meeting on Women’s Cancer. In 2011, Miller was diagnosed with a rare form of ovarian cancer. She had the tumor removed successfully and followed up with an aggressive chemotherapy regimen. Cancer-free and retired from competition, Miller turned her focus to advocacy for the health and wellness of women and children. She launched her company, Shannon Miller Enterprises with Shannon Miller Lifestyle: Health and Fitness for Women, with a mission to help women to make their health a priority through programs, education and awareness. In addition, Miller remains the most decorated Olympic gymnast in American history with seven Olympic medals. She is the only female athlete to be inducted into the U.S. Olympic Hall of Fame twice— as an individual in 2006 and with a team in 2008. The Ovarian Cancer Heroes® celebrates ovarian cancer doctors, nurses, patients or caregivers nominated by patients and caregivers for their heroic contributions in the field of ovarian cancer. Three winners are named Ovarian Cancer Heroes® and awarded a special prize in recognition of his or her service to patients and survivors of ovarian cancer. The reception features food, music and a celebration of achievements made in the field of ovarian cancer. To register for the celebration gala, click here. The Ovarian Heroes Recognition program is sponsored by Tesaro, an oncology-focused biopharmaceutical company. 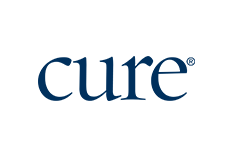 CURE Media Group is the leading resource for cancer updates, research and education. It combines a full suite of media products, including its industry-leading website, CUREtoday.com; innovative video programs, such as “CURE Connections®”; a series of widely attended live events; and CURE® magazine, which reaches over 1 million readers, as well as the dynamic website for oncology nurses, OncNursingNews.com, and its companion, Oncology Nursing News® magazine. CURE Media Group is part of the Cranbury, New Jersey-based MJH Associates Inc. family of businesses, which includes the acclaimed OncLive®platform of resources for the practicing oncologist. For more information, visit http://www.curetoday.com and http://www.mjhassoc.com.